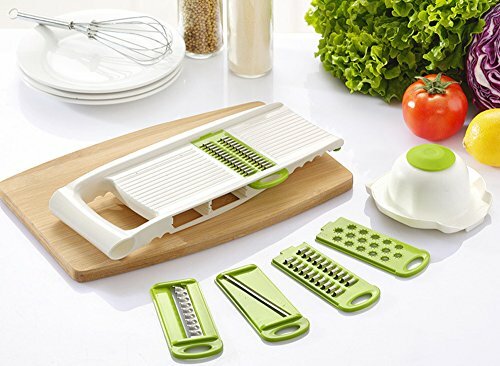 This Multi-Purpose Mandoline Slicer is Excellent for Use as Vegetable Slicer, Food Slicer, Cheese Slicer, Vegetable Julienne Slicer, Vegetable Cutter, Vegetable Grater, Fine Grater! 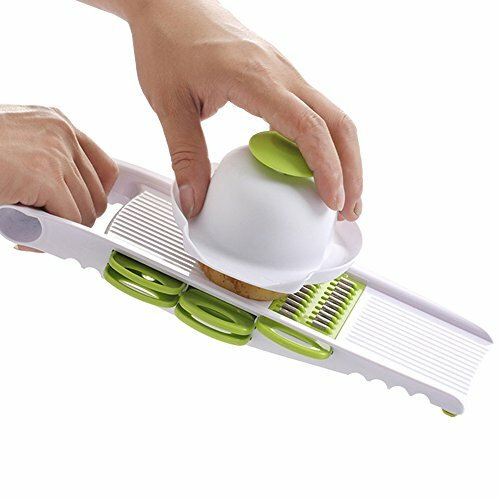 Quickly turn bland and boring vegetables into the most mouth watering part of your whole meal by “Redesigning” your food with 5 slicer sets. 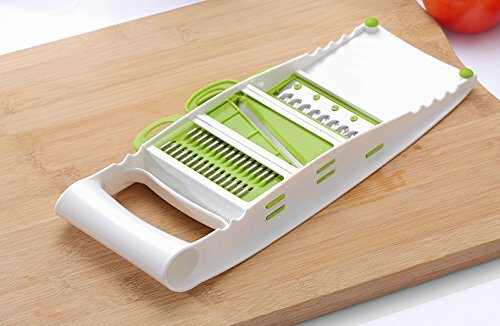 This Mandoline Slicer itself has Five Stainless Steel Blades, Thick and Thin Julienne Slicer Blades, Plane Slice Blade, Wavy Slice Blade, and Grind, These Blades can be stored inside for convenience when not in use. 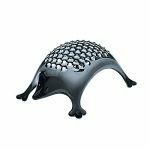 This Kitchen Vegetable Slicer Grater Sets Includes a versatile main unit and a food holder to protect your fingers, fast and safe cutting. 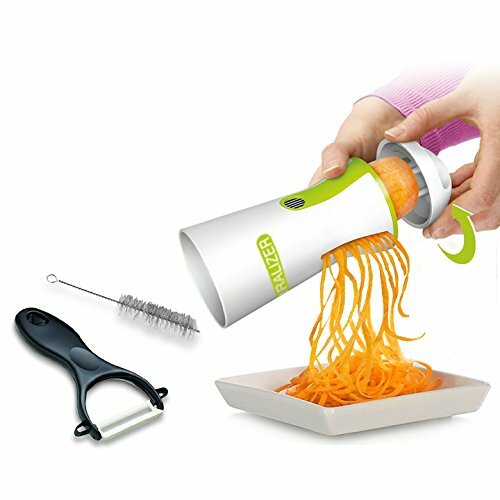 No need to take your life in your hands each time you want to prep a meal; with This Kitchen Slicer, you can create julienne vegetables, potato chips, or finely chopped tomatoes without even picking up a knife. It’s easier, safer and a whole lot faster. We’ve even been known to call it the julienne mandoline. 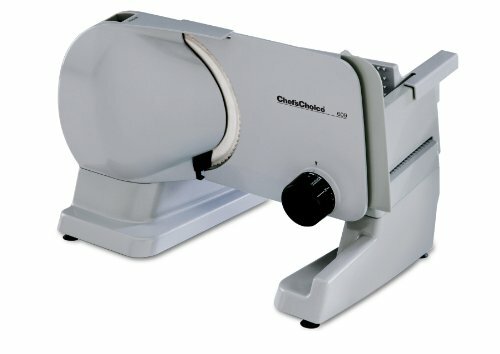 You may be so impressed with BsterLF Mandoline Slicer. This is a well constructed manoline and is made with quality plastic that is Food-Safe ABS plastics to keep your food clean and safe from chemicals. 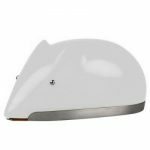 It is very sturdy and does not bend when a little pressure is placed on the food you are slicing. You can feel the strength in the thickness of the plastic, no cheap design. 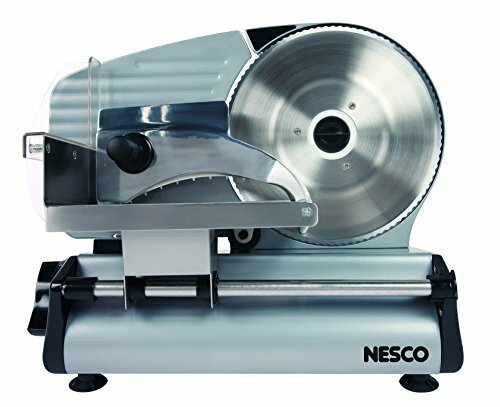 Also in the design to make slicing even more convenient and safer, the bottom of versatile main unit have Slip Resistant Rubber Footing to prevent the slicer from moving and avoiding accidents. 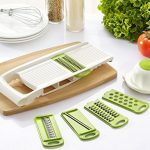 The product comes with five different slicing options: straight slice, wavy slice, 2mm fries, 3mm fries, and a grater. 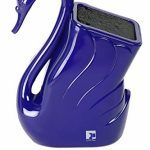 It also comes with the food holder to protect your hands, and a peeler. It’s super easy to clean! It’s even dishwasher safe! Once clean it can be easily stored and doesn’t take up much space at all. Sharp blades! Keep away from children! Use, wash and store with care. Use the food holder for safety. Keep planing away from fire. After use please cleaning asap! Due to Ingredients have deep color, the planing color maybe will change. You could use oil to clean. It not effect to use. Cleaning with sponge, cleaning agent also could use dishwasher. Safely slice and grate in seconds. 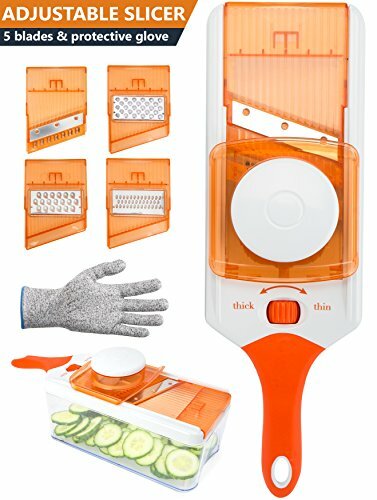 Versatile 5-in-1 mandolin slicer & grater includes 1 stationary and 4 interchangeable, ABS plastic frame, stainless steel blades. Vegetable slicer and dicer features easy-grip handle, safety guard and grooves that keep it securely in place over a bowl. Quick clean up and handy storage make for a great gift idea! Looking to save time in kitchen without having to order greasy high calorie take-out or resort to deep frying everything in sight? 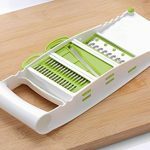 then you’ll love our mandoline slicer, the only kitchen tool to have been designed to help you put more vegetables in your diet while also reducing the time you spend prepping food and cleaning up afterwards.